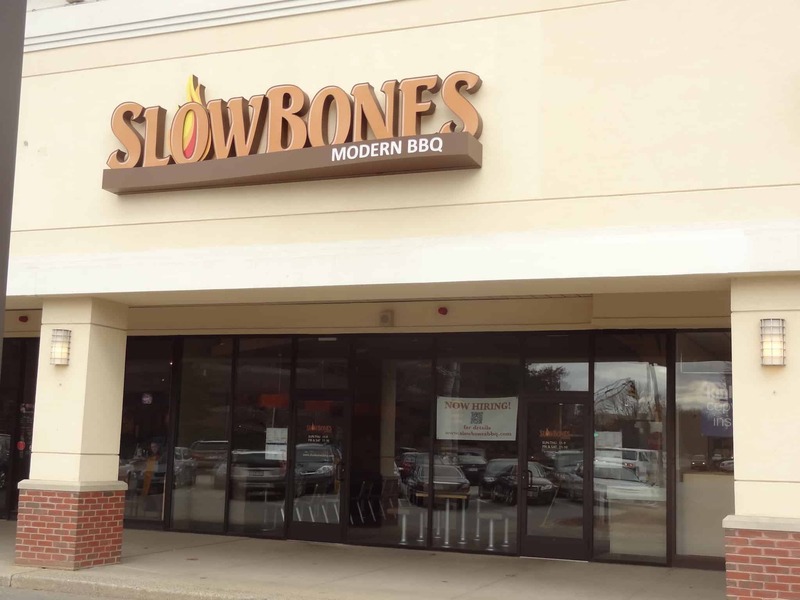 Slow Bones Modern BBQ restaurant, brand new to Burlington, MA, is the place to go for real fast, real good, REAL BBQ. 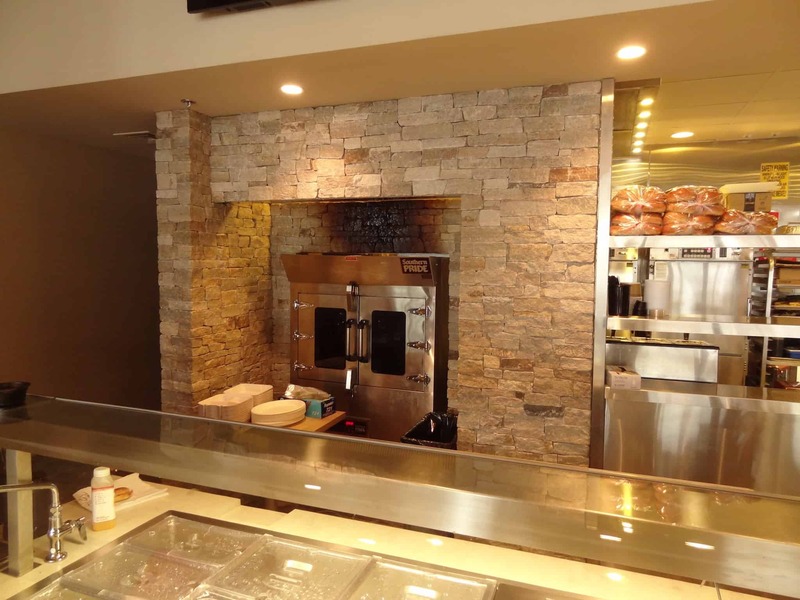 Quality ingredients and low-and-slow cooking in a rotisserie smoker makes their food stand apart from the rest. 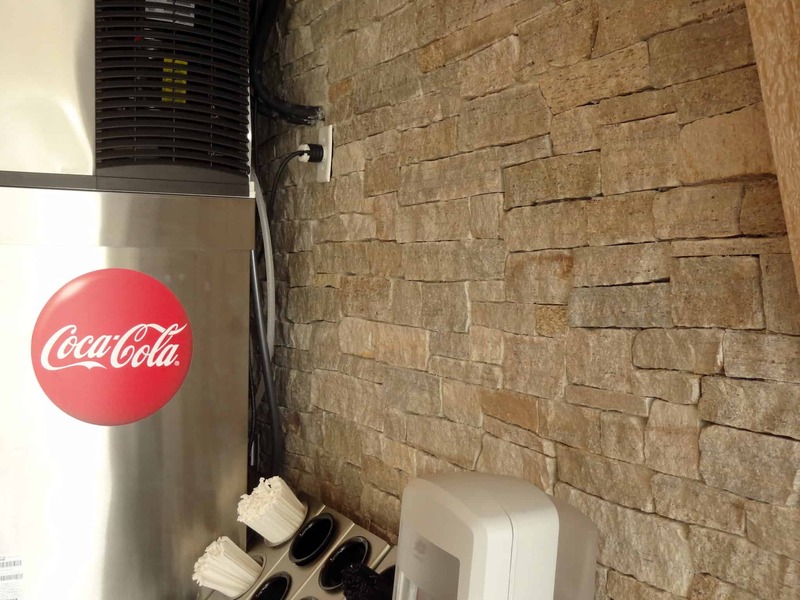 However, it's not all about the mouth-watering flavor. 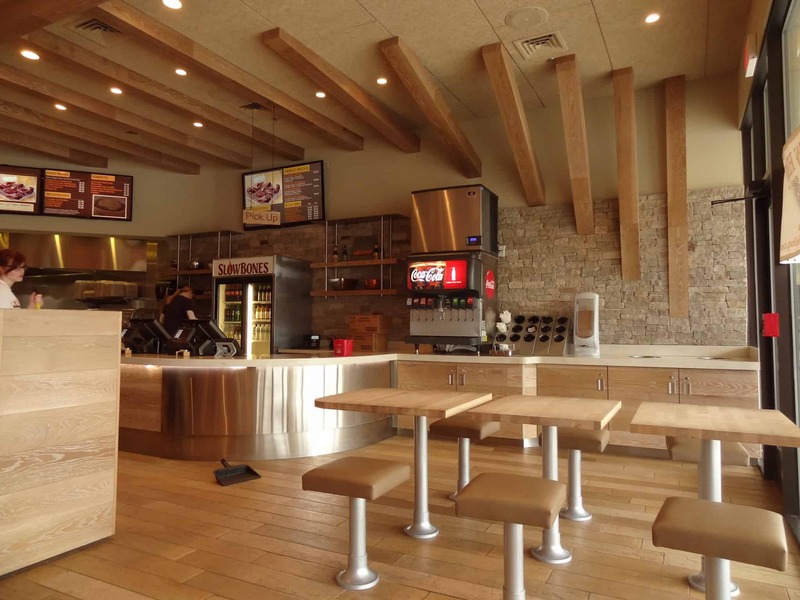 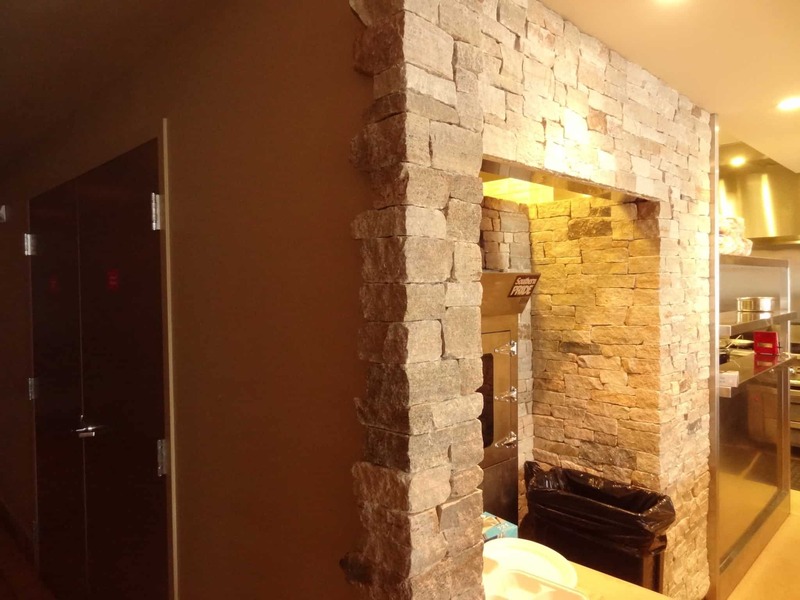 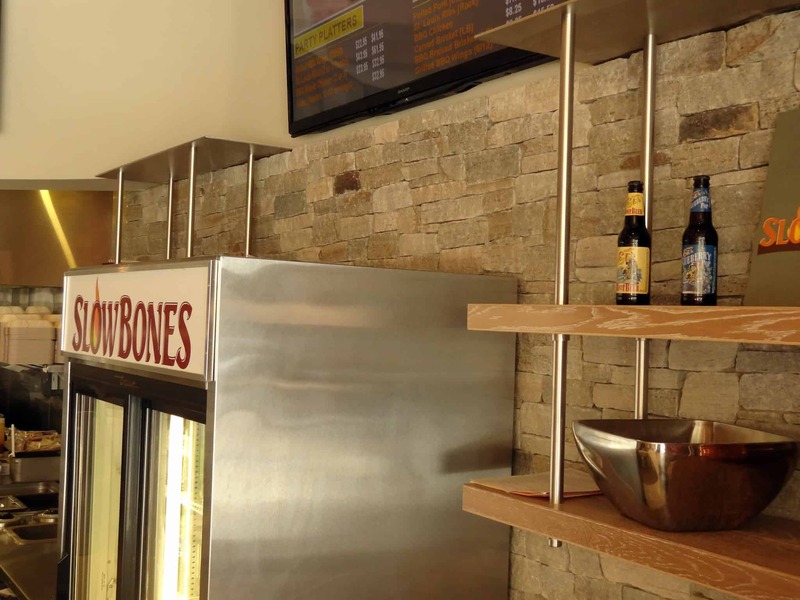 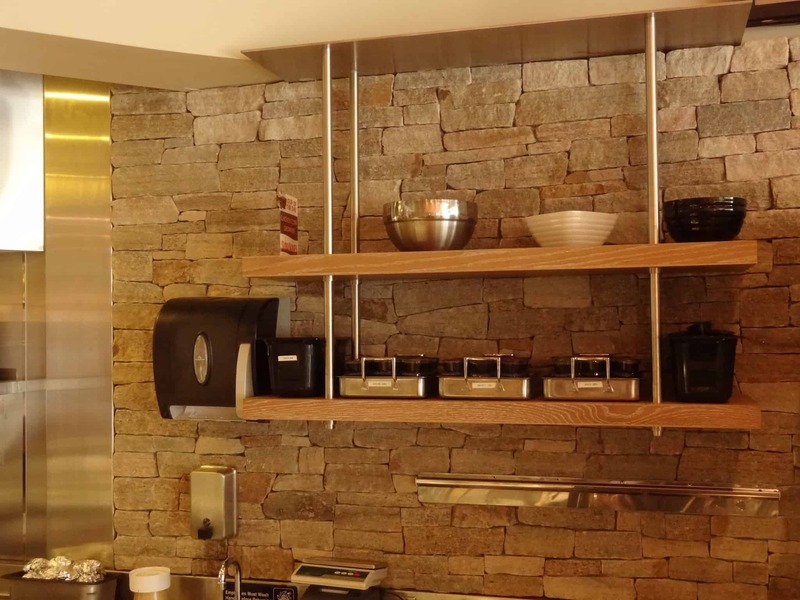 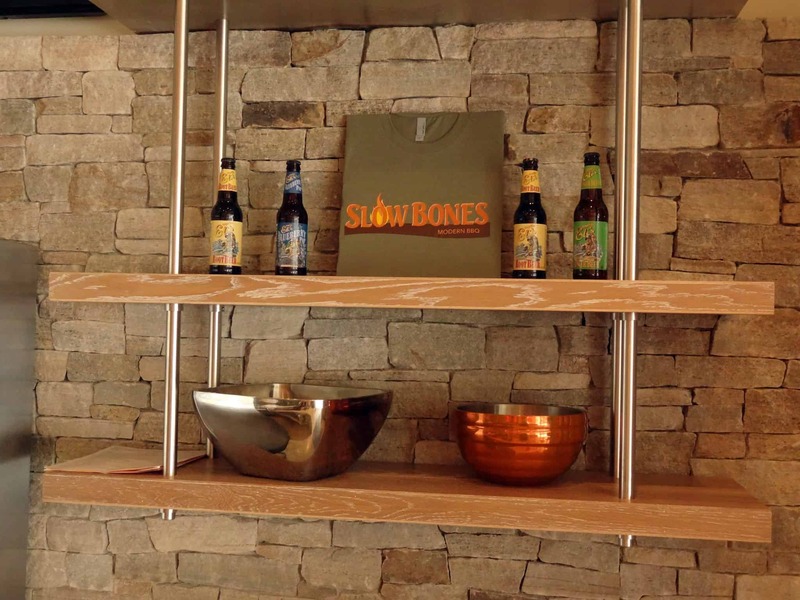 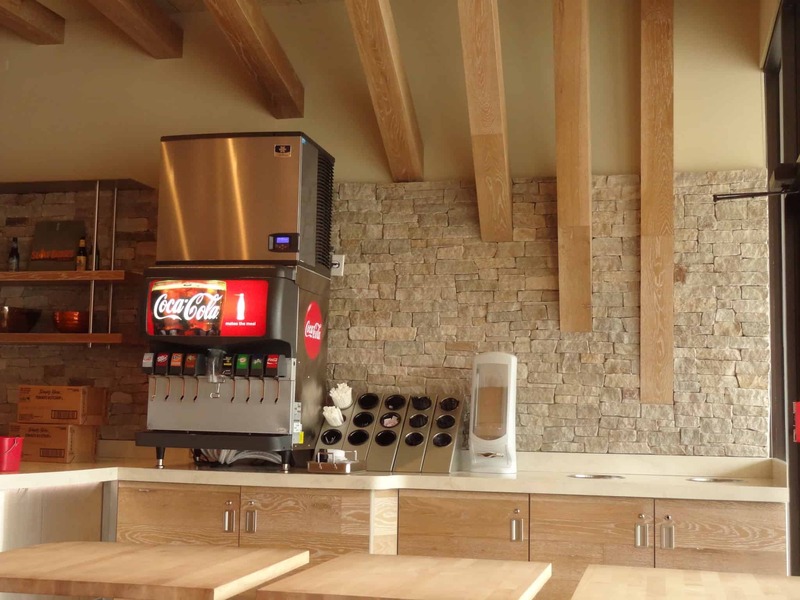 Recently featured on Phantom Gourmet, Slow Bones Restaurant is proud to display Colonial Tan Ledgestone, a local stone that lends itself to the relaxed BBQ setting. 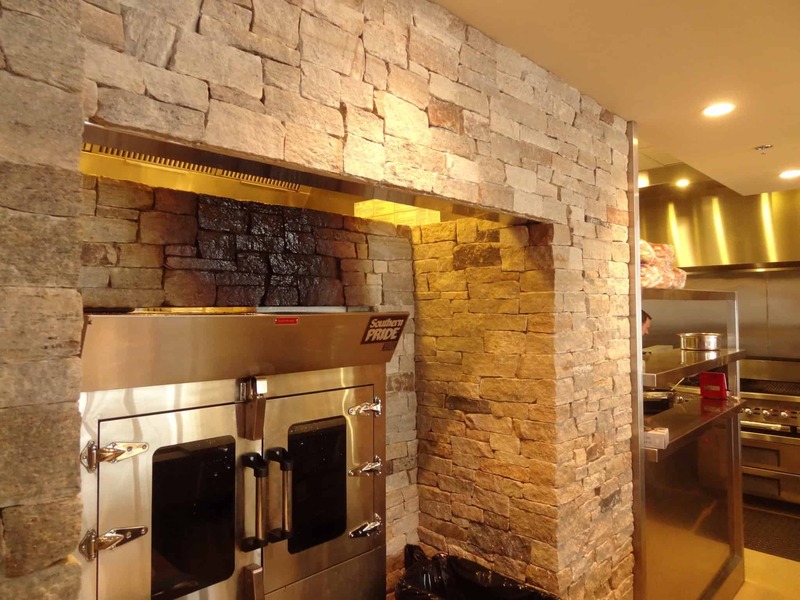 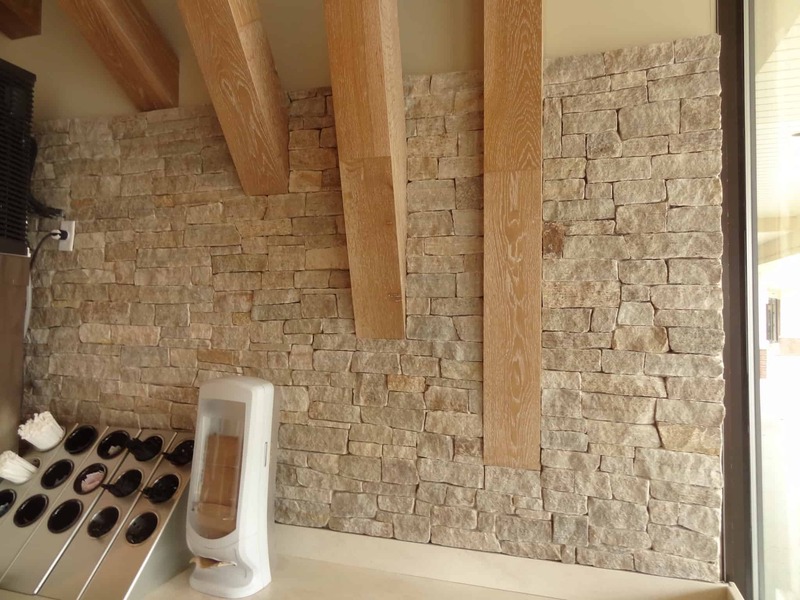 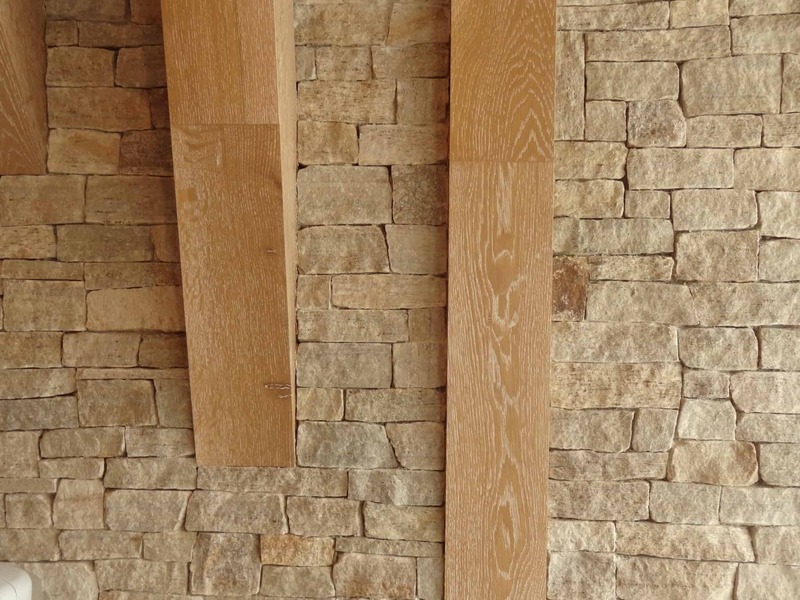 This natural New England stone serves as a backdrop on an interior feature wall, and draws attention as an accent around the smoker. 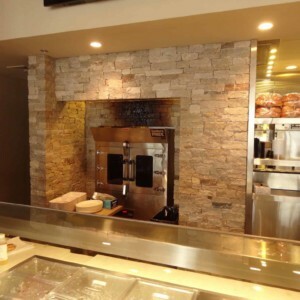 With this unique stone beautifully presented, customers get a great feel for the delicious taste of BBQ that they love and enjoy it in an environment set for a modern lifestyle. 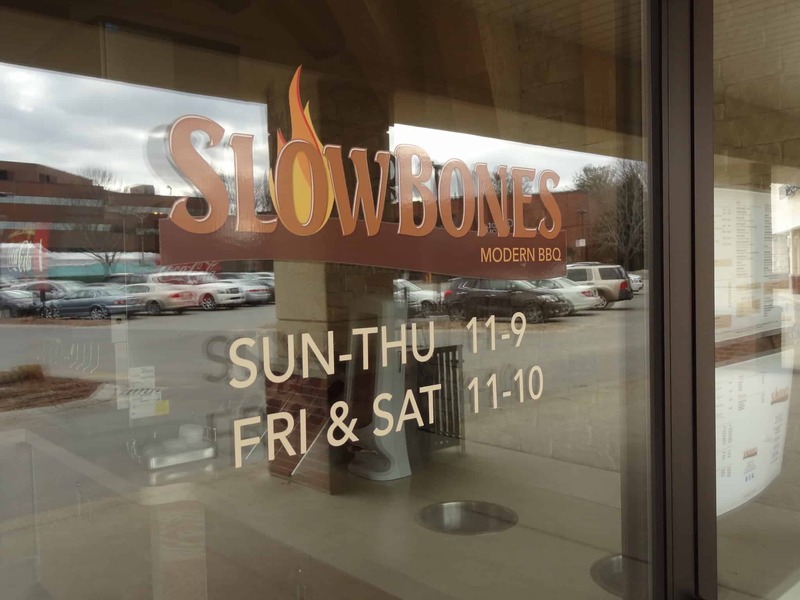 Visit Slow Bones Modern BBQ!